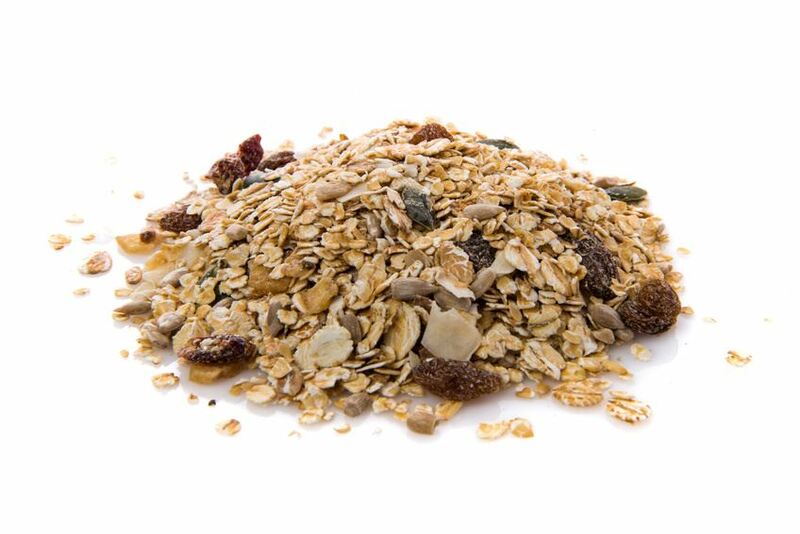 Muesli - a mix of oats and/or other grain flakes and fruit or dried fruits – supplies the body with many mineral nutrients, carbon hydrates, and vitamins. Especially with milk or yoghurt, muesli is delicious, satisfies the hunger and supplies new energy. Would you like an individual muesli mix with products from our range? We will gladly check your request. Muesli is one of the most popular breakfast meals in Europe and next to fondue one of the Swiss inventions that made it onto tables all around the world. The first muesli was created in 1900 by the Swiss doctor and food expert Maximilian Oskar Bircher-Brenner. He offered the Birchermues to the guests in his sanatorium as a wholefood dinner with fresh fruit. Until today, the Swiss eat “Birchermuesli” rather for dinner than for breakfast like in the rest of Europe.